A few months ago, truPhys published a comprehensive article discussing the mechanisms behind physiological body temperature maintenance, the positives and negatives of training in hot environments, and how carefully doing so can benefit performance. But now it’s January. And unless you live in New Zealand or a region a bit closer to the equator, it’s probably a tad cooler outside (and for some, tad may be an understatement). What about training in the cold? Are there training benefits, and what are the risks? Shenanigans on the demolition range. 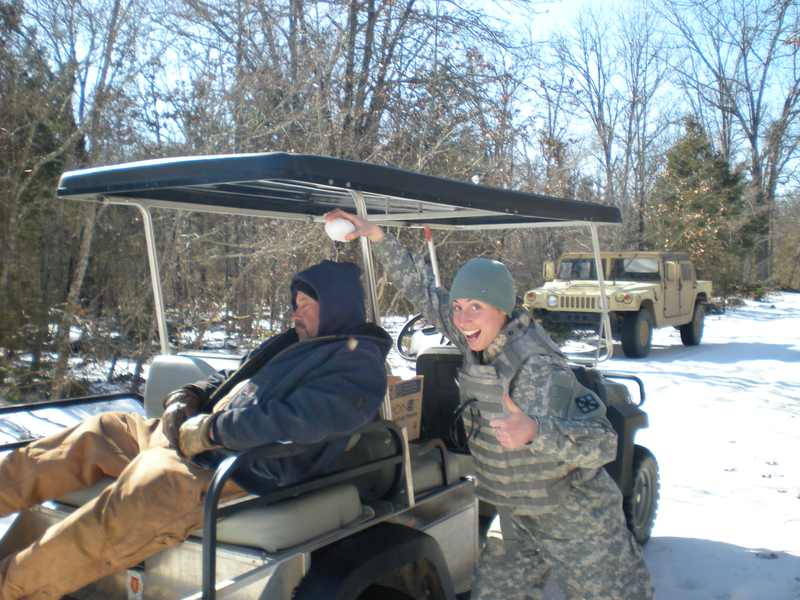 Counter Explosives Hazard Center, Fort Leonard Wood, MO, February 2009. 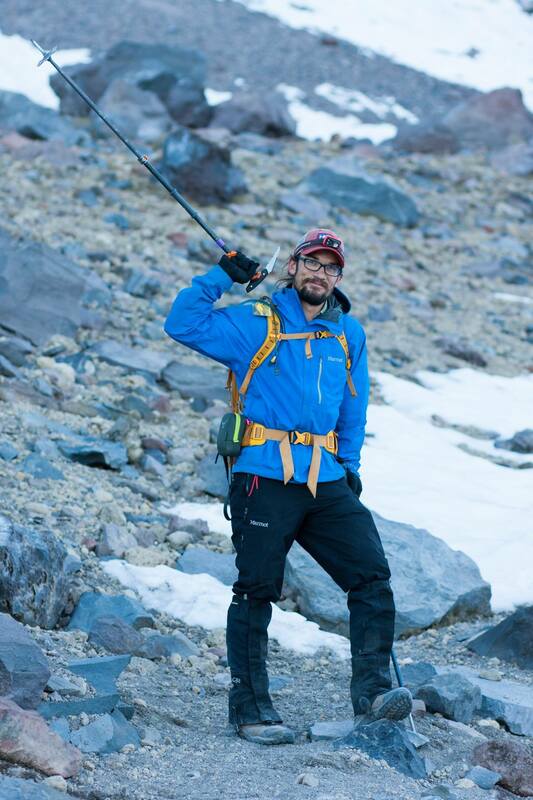 Overall, I enjoyed it – the skiing and snowshoeing, the mountains, the beautiful autumn colors and clear lakes. Now I live in Phoenix, where the summers are wretched. Let’s be truthful. 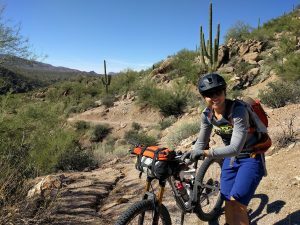 But among all of the places I have resided, one thing has been constant: I’ve been very physically active – for fun, for profession, for stress relief, and for a challenge. Both the anecdotal experience and the science I’ve studied and taught have consistently stated the same conclusion, that the body is an amazing machine with an uncanny ability to adapt to an array of environments. With the right preparation, you can do just about anything, anywhere. 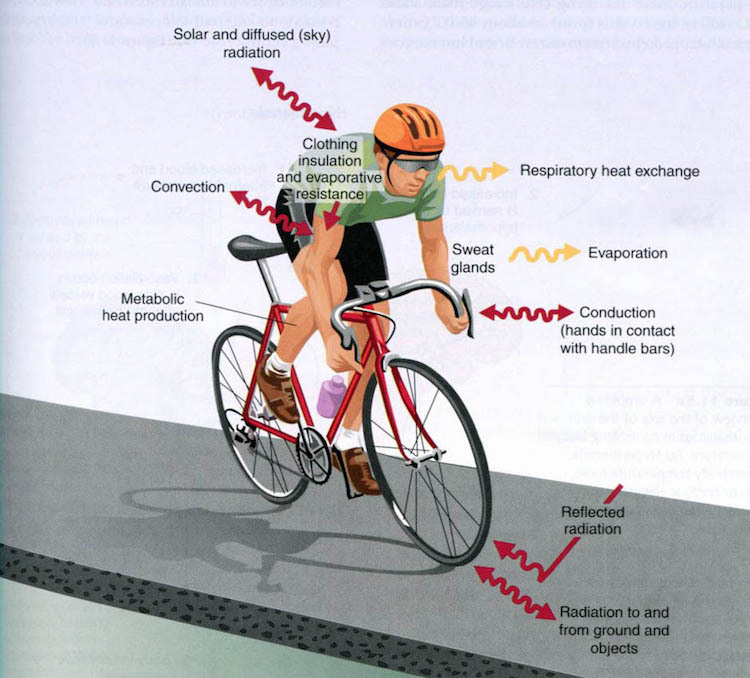 For a foundational synopsis on the fundamental mechanisms of thermoregulation, see our previous article, Thermoregulation: Training in the Heat. Overall, the primary driver of all of these mechanisms is homeostatic maintenance, meaning, heat gain and heat loss are balanced, regardless of what theory of thermoregulatory control is under discussion. A simple example of the mechanisms of themoregulation during exercise, here, while road cycling. Evaporation is the primary mechanism of heat exchange during exercise. This process is uni-directional, meaning, heat is only lost and cannot be gained. As the body perspires, the water contained in sweat undergoes a phase change from liquid to gas and takes the energy (heat) needed to transform with it, away from the body and into the surroundings. This same exchange mechanism does happen when it is cold outside, especially in more arid climates where the air is less saturated with water vapor. The idea of the preventative effects of clothing on heat loss through evaporation in hot environments becomes beneficial when temperatures drop below thermoneutral. In addition to humidity, the rate of heat exchange is dependent up on the thermal gradient. The greater the difference in temperature between the body (37° C) and the surrounding environment, the more rapid the exchange of heat between the two – in either direction. The energy between a system (the body) and it’s surroundings always wants to reach equilibrium. Knowing this, it makes sense that the colder the outside temperature, the more extreme the heat loss from the body. Physiological sites of heat exchange. The palms of the hands, soles of the feet and face are three major sites for heat exchange. These areas contain special networks of vasculature (called arteriovenous anastomoses, or AVAs) that allow heat to be exchanged between vessels in the skin and the surrounding air (or water if you are swimming). Unfortunately, little muscle and fat tissue exists in the hands and feet, making them poorly insulated. The anatomy of the fingers and toes also increases surface area, maximizing their ability to lose heat. This is great when it is hot out, but think about what is exposed when you are exercise in the cold – these very areas. Another system responsible for regulating heat exchange is the respiratory tract. In simple terms, when you inhale, your lungs saturate and warm the air, and as you exhale, heat is lost to the environment. More heat loss is not exactly a benefit when training in cold temperatures. Furthermore, exercising when the air is cold and dry can cause the respiratory tract to bronchoconstrict, and if individuals are susceptible, may lead to an asthmatic symptoms or an asthma attack. The response to heat loss. What does your body do in response to the loss of heat? Upon initial exposure to the cold, vessels in the extremities constrict, shunting blood toward the core/vital organs, such as the brain and heart. This further compromises maintenance of normal tissue function in the extremities, increasing risk for non-freezing and freezing cold injuries. In the intelligent fashion of the body, cyclic rewarming of the extremities occurs as exposure to the cold is prolonged. This mechanism is called “cold-induced vasodilation,” or CIVD, regulated by AVAs mentioned above. Repetitious bouts of vasoconstriction and dilation balance loss of heat with a protective recurrence of blood flow to the extremities, aiding in maintenance of tissue function (and the overall ability to do work). The faster the onset of CIVD, and the greater the dilation, the lower the risk for injury. This being said, some studies show CIVD contributing to heat loss. The explanation appears to be logical. As blood flow increases toward the extremities to warm them, more heat is also lost via conduction and convection through the fingers/toes. Then throw exercise into the mix, which causes an increase in cardiac output and blood delivery. Shivering is the primary mechanism for generating heat. In fact, the body can create more than 500 W of heat energy (above basal levels) when shivering is most intense. Clearly, it must cost energy to do so, and research has shown that oxygen consumption (VO2) increases to approximately 1 L/min during moderate to intense shivering (this is about 25-35% of maximum VO2 in healthy adult males). Exercising in the cold also increases reliance on carbohydrate use due to the need for excess heat generation via shivering. This leads to a faster depletion of glycogen stores and a decrease in lactate threshold. 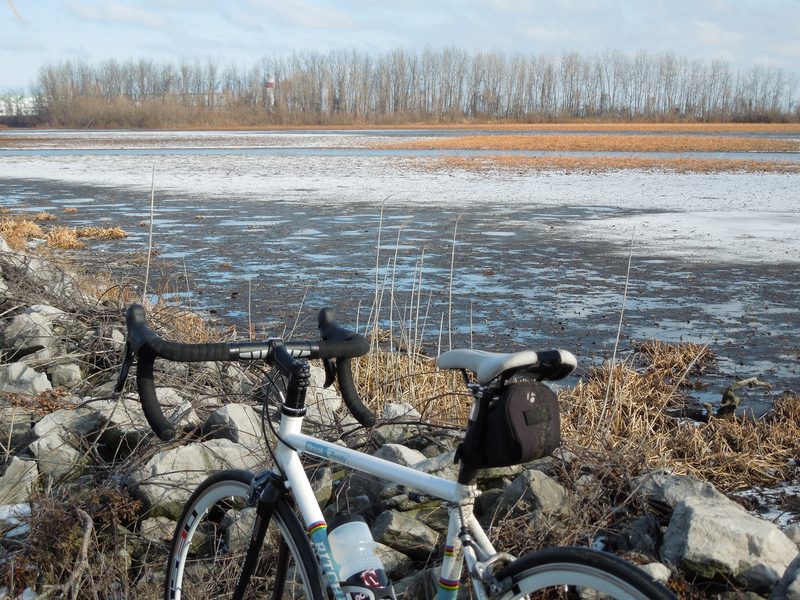 Wintertime cycling along Lake Erie in northern Ohio, 2013. It was cold but certainly worth it. Risks of training in the cold. Hypothermia. Training in the cold does come with it’s own set of hazards. Similar to exercising in hot temperatures, which increases risk of developing heat stress and heat stroke, the opposite environment exacerbates the chance of becoming hypothermic. A person is considered hypothermic when their core body temperature drops below 35° C (95° F). Whole-body hypothermia is the #1 life-threatening risk of physical activity in cold conditions. Non-freezing and freezing cold injuries. The extremities and face are most susceptible to cold weather injury. Chilblains, frostnip and frostbite (in order of severity) are the primary dangers to exercising individuals, and wind speed may make all the difference. Are there benefits from training in the cold? First, it must be noted that to your body, survival is priority and performance is not. Whole-body heat balance is the primary goal. This leads to a “problem,” because, shunting blood away from the extremities (toward the core) decreases oxygen and nutrient delivery to working muscles, compromising performance. However, there is a sweet spot, and you can do things to help your body maximize performance gains. Regular training in any environment will lead to physical adaptation. Acclimatizing to the cold does have some benefits. The CIVD response can be improved, and overall peripheral blood flow can be increased. This is not as easy as intermittently submerging your hands and feet in cold water (unlike intermittent altitude exposure, which does aid overall acclimatization to altitude). Laboratory studies of intermittent cold temperature submersion of the hands show conflicting results, with some improvements in pain tolerance and faster onset of CIVD, and others showing no change. Regular physical training may also enhance the CIVD response. According to researchers, significant increases finger temperature and CIVD response were seen after one month of moderate-intensity cycling, five days/week. This adaptation could be signaled by increased capillary blood flow and microcirculation, and/or central increases in cardiac output and parasympathetic tone. Workout up, free ride down! Stefan Mettler partaking in some lift-free telemark skiing at Arizona Snowbowl in Flagstaff, AZ, 2006. Photo © David Herbold. The adult body also contains a substance known as brown adipose tissue (BAT), a type of fat that not only insulates, but also generates heat (called non-shivering thermogenesis). The mitochondria within BAT contain uncoupling proteins (UCP1, specifically), which cause the aerobic oxidation of fuel to generate heat energy instead of adenosine triphosphate (ATP) to do work. This metabolically active tissue may play an important role in the modification of adiposity and weight gain. Studies have shown that populations that live in cold climates, such as the Inuits, have a higher content of BAT compared to those that reside in milder regions. The amount of BAT in adults can be increased by acclimatizing to the cold. Shivering signals the production of a hormone called irisin, responsible for the conversion of white fat to BAT. What else signals irisin production? Exercise! According to a study completed at the University of Florida, physical activity activates the production of irisin through heart and skeletal muscle contraction. This not only leads to increases in BAT, but also inhibits the production of more white fat. It’s a win-win! Correlation between the Prevalence of Maximal Activity of Brown Adipose Tissue and Temperature, Age, Body-Mass Index, and Glucose Level. Cypress et al., NEJM, 2009. Click to enlarge. Allow time for acclimation. Acclimation to a new climate takes anywhere from one to two weeks, depending on the degree of change, and whether or not a change in altitude is also involved. Increases of exposure time/day should be gradual during the adaptation period, starting with 60-90 minutes of low-intensity exercise, or 30-45 minutes of moderate-intensity. Warm up before you go outside. Core warming prior to cold exposure has also been shown to prolong dexterity and extremity function in the cold, just as well as directly warming the hands or feet themselves. If you are participating in activity that requires a good amount of dexterity (ice climbing, for example), keep this technique in mind. Remember to hydrate. Fluid intake tends to suffer when temperatures drop – most people are deterred by the thought of consuming cold liquids. Work hard to maintain a hydration plan, especially in arid climates, as moisture is still lost through the skin via the evaporation of water in sweat. Supplement with a sports drink that contains carbohydrates (aim for 6-8% carb concentration). Increase your carbohydrate intake. Shivering utilizes calories, therefore, at any given workload, your overall caloric needs will be higher in the cold compared to thermoneutral temperatures. It is important to note that your risk for “bonking” increases, so it becomes more important to carb load before training or racing, and increase fuel consumption during exercise. Bring extra clothing if temperatures seem mind or are expected to decrease (i.e. as the sun goes down), and wear removable layers. Do not wear constrictive footwear, and ensure your feet are protected from getting wet to prevent chilbains or trenchfoot. Use protective clothing such as gloves/mittens, neck and ear protection, as well as a hat. Wool is great for insulating as well as wicking moisture away from the skin. Moisture increases the risk of developing cold injuries such as chilbain and trenchfoot. Exercise during the warmest part of the day, if possible. Take the windchill into account. This is especially important if you are cycling or participating in a sport where this precaution would be applicable. 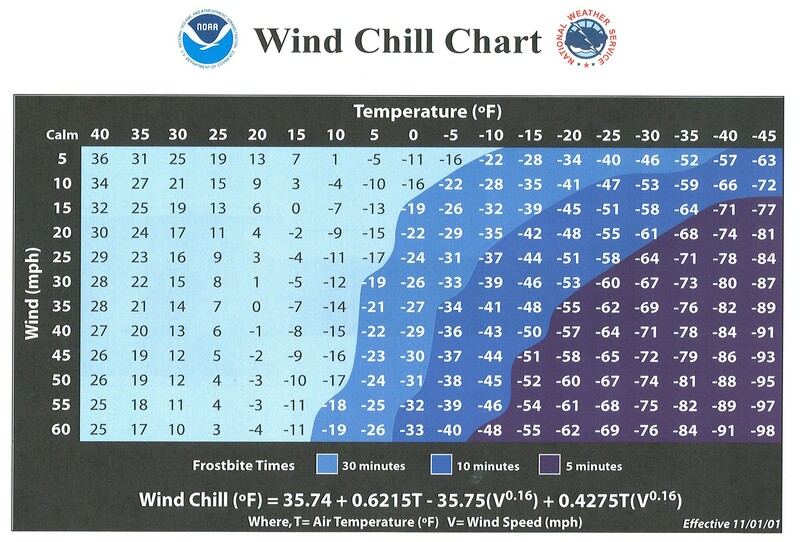 The higher the windchill, the faster you lose heat and put exposed skin at risk for frostnip/frostbite. Have a positive attitude. If you’re having a hard time getting out the door – a mental block, practice some mindfulness techniques to establish positive awareness. It’s easy to talk yourself out of going outdoors when the weather isn’t exactly pleasant. However, it’s just as easy to see the benefits, and most people never regret finishing a workout. Use indoor alternatives. Despite all that has been said, it can be too cold outside. 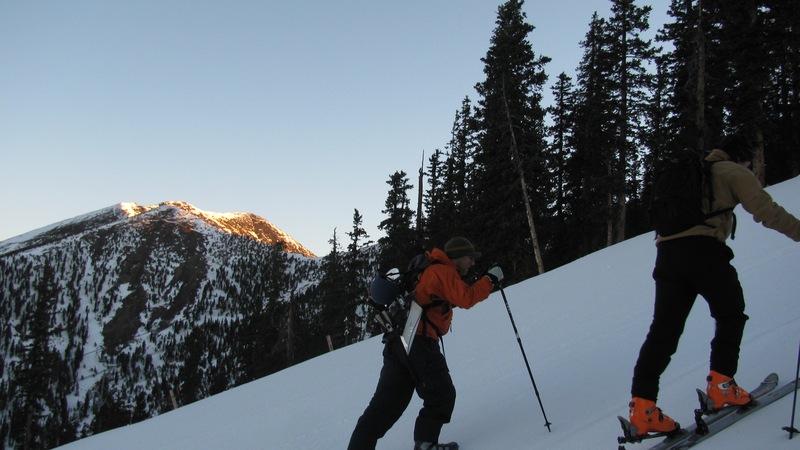 Ensure the risks outweigh the benefits before you go outdoors. 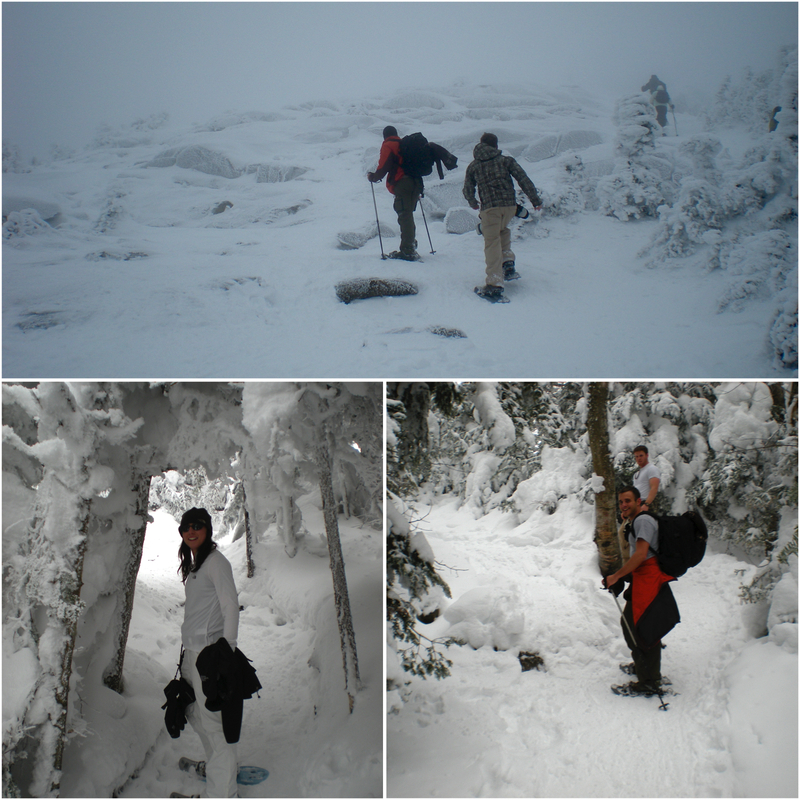 Snowshoeing Porter Mtn with Matt Porter and Steven Dutcher in the Adirondacks, Lake Placid, NY, 2010. Cypess, A. M., Lehman, S., Williams, G., Tal, I., Rodman, D., Goldfine, A. B., … & Kolodny, G. M. (2009). Identification and importance of brown adipose tissue in adult humans. New England Journal of Medicine, 360(15), 1509-1517. Daanen, H. A. M. (2003). Finger cold-induced vasodilation: a review. European journal of applied physiology, 89(5), 411-426. Flouris, A. D., Westwood, D. A., Mekjavic, I. B., & Cheung, S. S. (2008). Effect of body temperature on cold induced vasodilation. European journal of applied physiology, 104(3), 491-499. Keramidas, M. E., Musizza, B., Kounalakis, S. N., & Mekjavic, I. B. (2010). Enhancement of the finger cold-induced vasodilation response with exercise training. European journal of applied physiology, 109(1), 133-140. Nedergaard, J., Bengtsson, T., & Cannon, B. (2007). Unexpected evidence for active brown adipose tissue in adult humans. American Journal of Physiology-Endocrinology and Metabolism, 293(2), E444-E452. Saito, M., Okamatsu-Ogura, Y., Matsushita, M., Watanabe, K., Yoneshiro, T., Nio-Kobayashi, J., … & Kawai, Y. (2009). 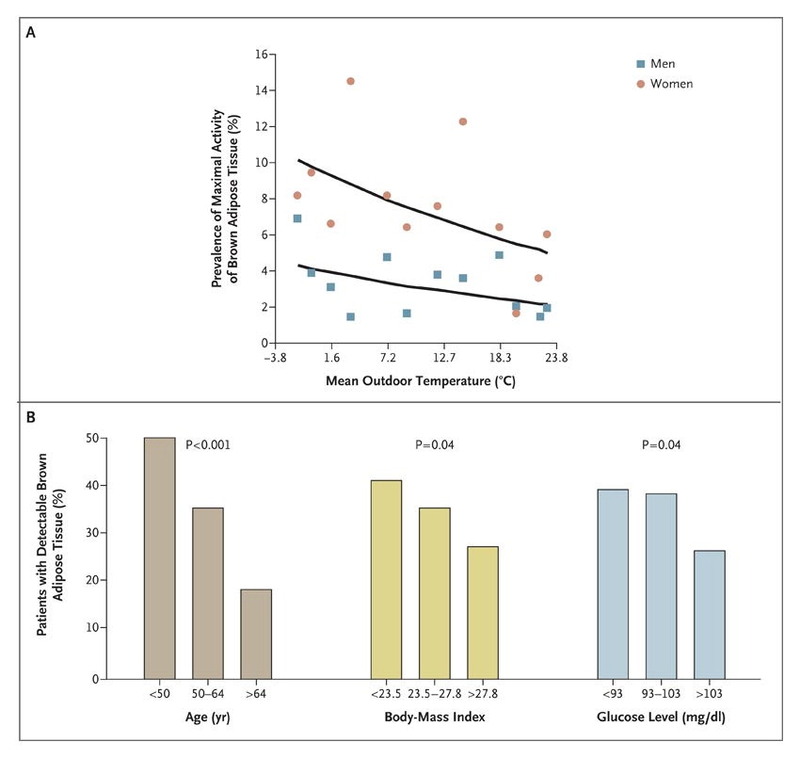 High incidence of metabolically active brown adipose tissue in healthy adult humans effects of cold exposure and adiposity. Diabetes, 58(7), 1526-1531. Walløe, L. (2016). Arterio-venous anastomoses in the human skin and their role in temperature control. Temperature, 3(1), 92-103.
climbing, cold, thermoregulation, training, training in the cold. Bookmark.